This series include all technical components – from the fighting stance, footwork, and mobility skills to many of the intermediate and advanced principles and concepts of the Serrada style. There is a detailed breakdown of the offensive and defensive skills using the single stick, the stick and dagger, the single dagger, and the empty hands. 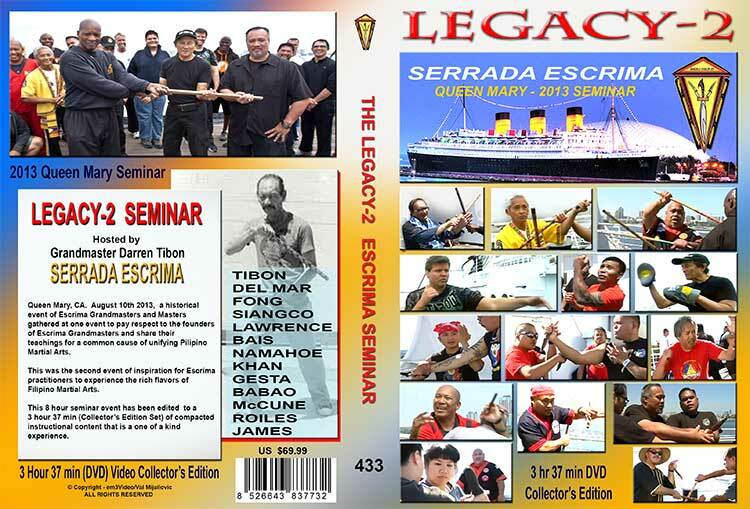 The elements and techniques of “lock and block,” “flow spar,” “rising sun counter.” “abaniko,” and “retirada” among many others are presented in this DVD set. 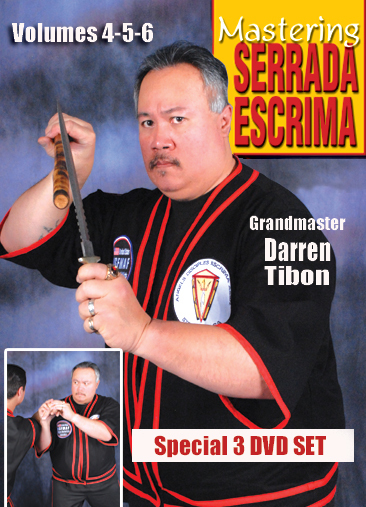 Stockton, CA April 13th & 14th 2013, a historical event of Escrima Grandmasters and Masters gathered at one event to pay respect to the founders of Stockton’s Escrima Grandmasters and share their teachings for a common cause of unifying Pilipino Martial Arts. This was the opportunity of a life time for Escrima practitioners to experience the rich flavors of Filipino Martial Arts. This 10 hour seminar event has been edited to a 4 hour (2 dvd - Collector’s Edition Set) of compacted instructional content that is a one of a kind experience. Queen Mary, CA. 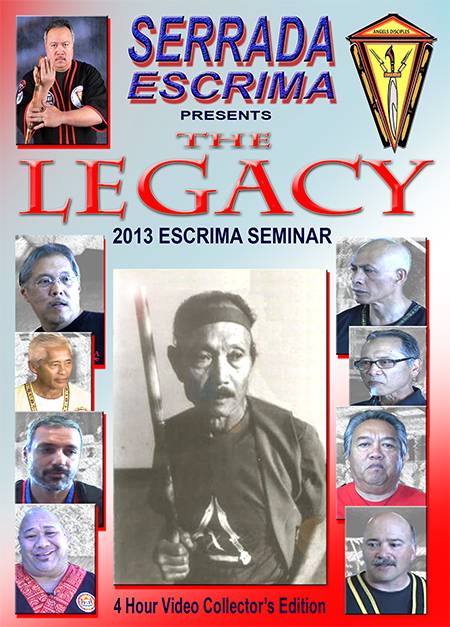 August 10th 2013, a historical event of Escrima Grandmasters and Masters gathered at one event to pay respect to the founders of Escrima Grandmasters and share their teachings for a common cause of unifying Pilipino Martial Arts. This was the second event of inspiration for Escrima practitioners to experience the rich flavors of Filipino Martial Arts. This 8 hour seminar event has been edited to a 3 hour 37 min (Collector’s Edition Set) of compacted instructional content that is a one of a kind experience.